Make A Wish is my way to preserve the moment right before you blow out birthday candles when anything is possible. 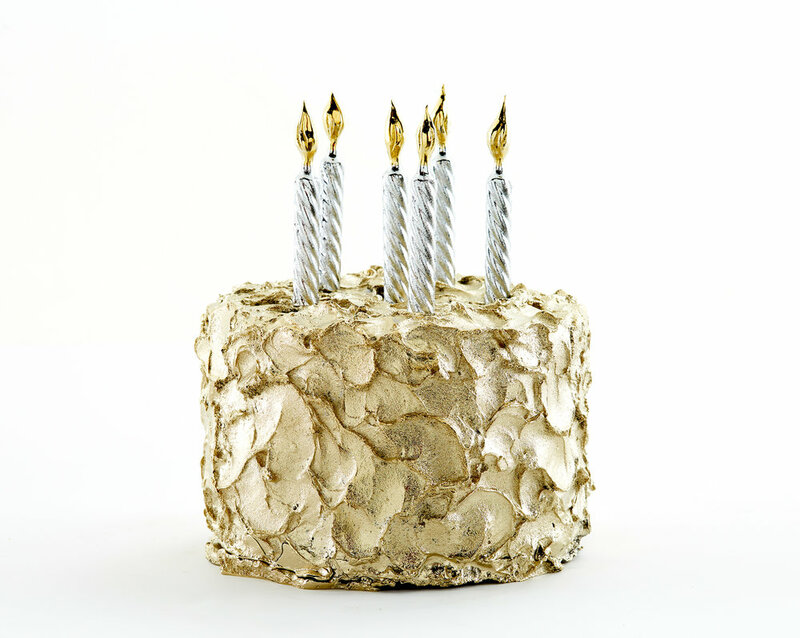 It is a full-sized birthday cake that never goes stale with candles that never burn out. It is a mini-monument to naïve hope and unabashed frivolity. Make A Wish was created at the Kohler Co. factory during Arts/Industry, a residency program of the John Michael Kohler Arts Center. It is made of cast brass that has been chrome plated and gold PVD coated. Just for my project, the factory associates at Kohler came up with a new method of masking the PVD so that there would be a clean line between the chrome candles and gold flames.